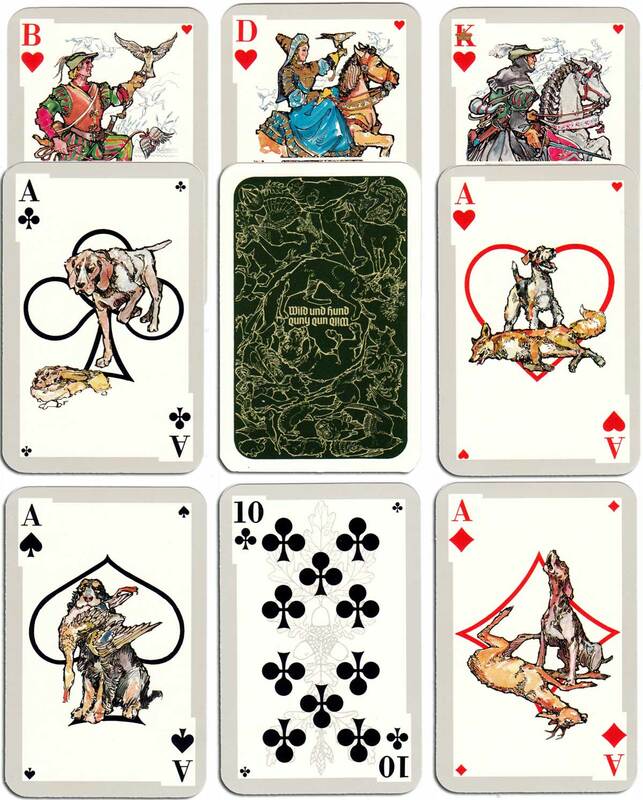 Hunting themed deck designed by Walter Niedl as a promotion for “Wild und Hund” magazine published by Paul Parey in Hamburg, c.1977. 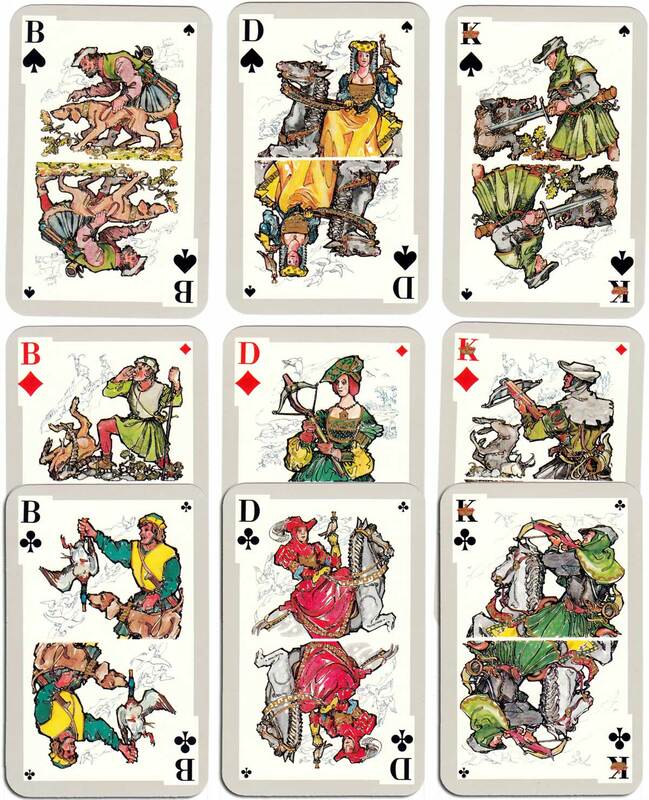 The 12 court cards and four aces feature medieval style illustrations taken from the hunting journals of Kaiser Maximillian, c.1510. Above: Hunting skat deck designed by Walter Niedl for “Wild und Hund” magazine published by Paul Parey, printed by Vereinigte Altenburger und Stralsunder Spielkartenfabriken, Leinfelden, 1977. 32 cards + extra card in box. Images courtesy Rex Pitts.